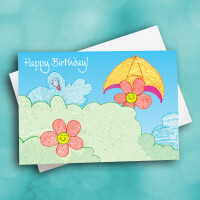 Wish a happy birthday to someone in your life with this smiley, cute greeting card. Don't just buy a random birthday card; send a bday card that's unique and special. 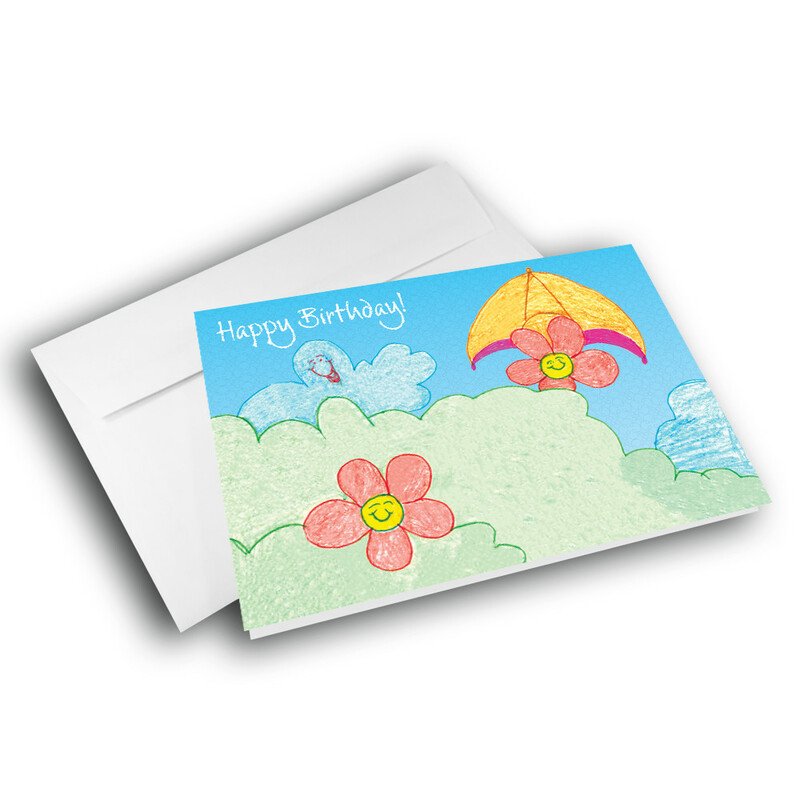 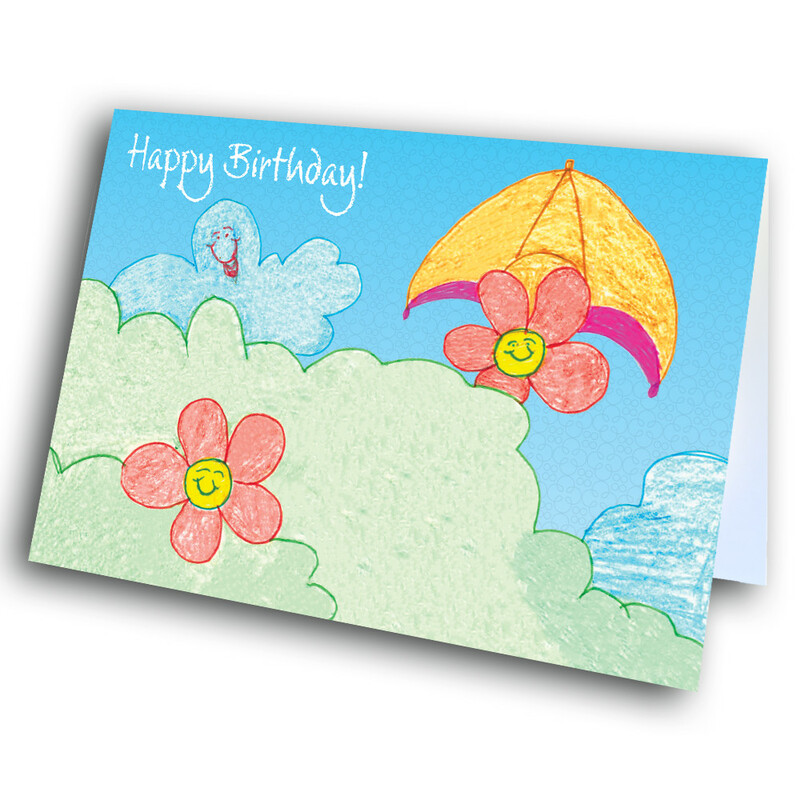 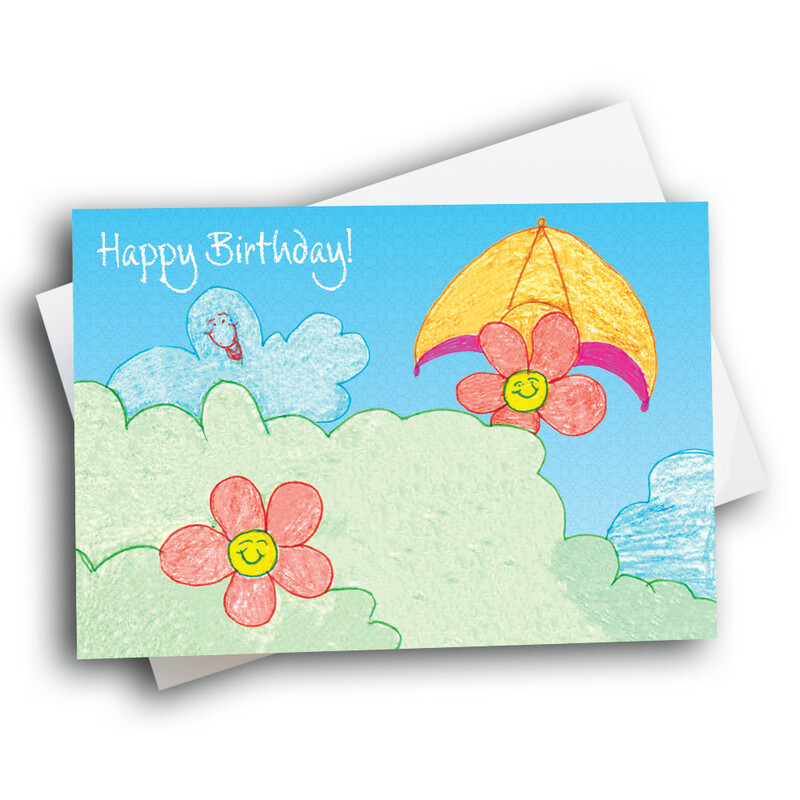 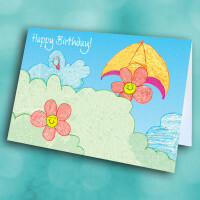 This artistic birthday card is exactly that, with its child-like artwork and brightly-colored, smiling flowers and clouds. 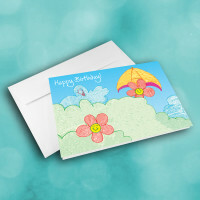 The message inside can be personalized to your individual taste, to make this greeting card absolutely one-of-a-kind.